I got a bizarre press release today saying BMW plans to compete next year in the US with the new M6 GT3 deal but it needs to be adjusted to fit in the old Tudor series which is now called the Weathertech Sportscar Championship. The release was bizarre because it didn’t really say anything. It only says that there is “plan” to return for an 8th season with Team RLL. I guess it also says that it won’t be the euro spec GT3 but rather a M6 GTLM which will be based on the M6 GT3. While the BMW M6 GT3 will contest race events and series with FIA GT3 regulations as of next season, BMW Motorsport is also working on a new challenger for the elite class of North American GT racing: the BMW M6 GTLM. The plan is to return for an eighth season with BMW Team RLL and field the newly developed racing car in the IMSA WeatherTech SportsCar Championship in 2016. BMW Motorsport engineers derived the BMW M6 GTLM from the BMW M6 GT3, and the BMW M6 GTLM took part in the official “Balance of Performance” tests performed by the International Motor Sports Association (IMSA) for GTLM homologation alongside GT3 testing by the FIA and ACO in Ladoux, France. 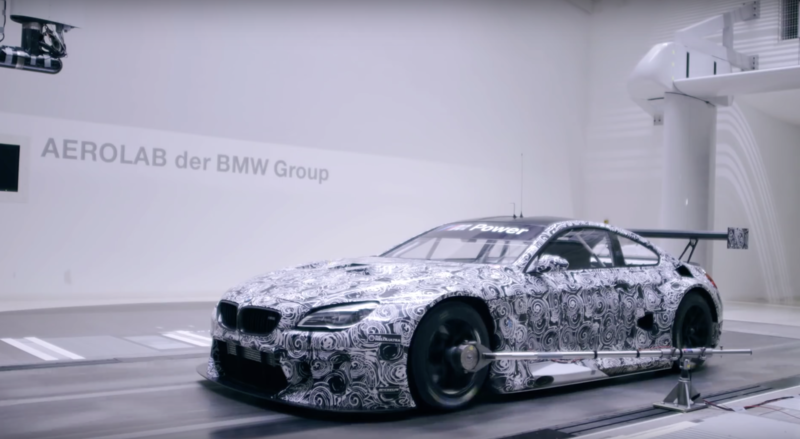 Subject to final approvals by IMSA, based in North America, the BMW M6 GTLM is expected to race in the IMSA WeatherTech SportsCar Championship in 2016. Like the GT3 version, the car is powered by a lightly modified version of the V8 production engine with M TwinPower Turbo Technology from the BMW M6 Coupé. In the previous three seasons, BMW Team RLL contested the American Le Mans Series and the United SportsCar Championship with the BMW Z4 GTLM and celebrated five victories and an additional 15 podiums to date. Further milestones in the recent GT history of BMW in North America include winning the title in the American Le Mans Series in 2001 with the BMW M3 GTR (Drivers’, Team and Manufacturer titles), as well as with the BMW M3 GT in 2010 (Team and Manufacturer titles) and 2011 (Drivers’, Team and Manufacturer titles). The 2016 season of the IMSA WeatherTech SportsCar Championship opens with the 24 Hours of Daytona on 30th/31st January. This is followed by a further ten events for the GTLM teams, which will take them to some of the most iconic racetracks in North America. As is tradition, the “Petit Le Mans” in Road Atlanta will provide the spectacular stage for the season finale on 1st October.